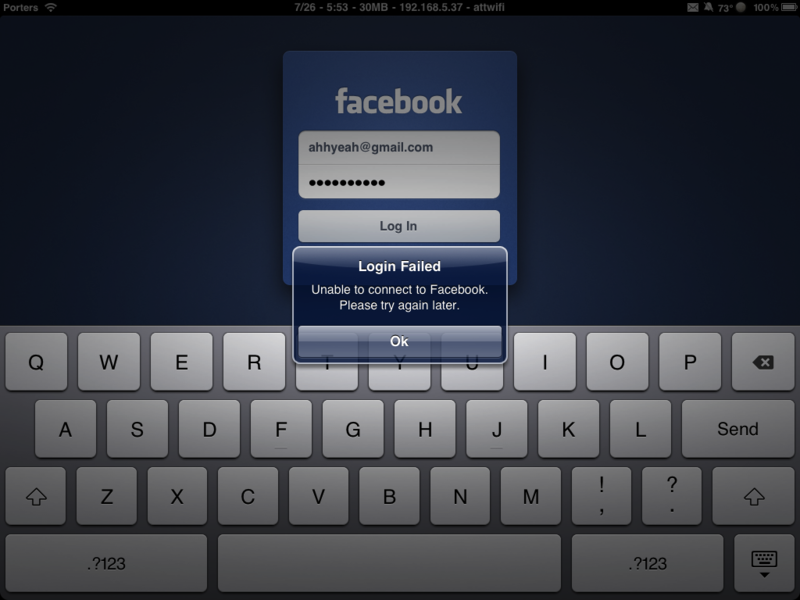 Recently, someone figured out that if they changed just one little number in the code for the iPhone Facebook app, the iPad app would be revealed when installed on the iPad. You needed to be jailbroken so you could access the Facebook app files to change the code that marks the app for the iPhone or iPad. 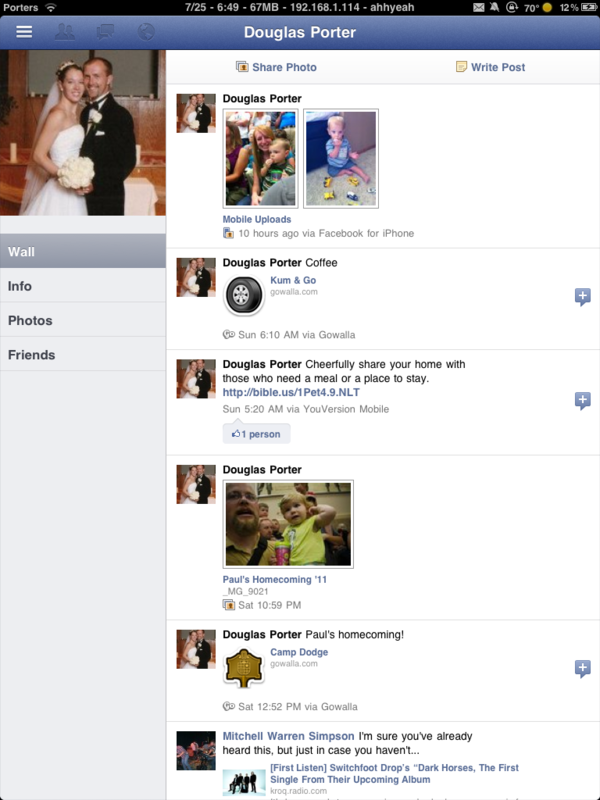 The app was a little buggy but the layout was pretty good. 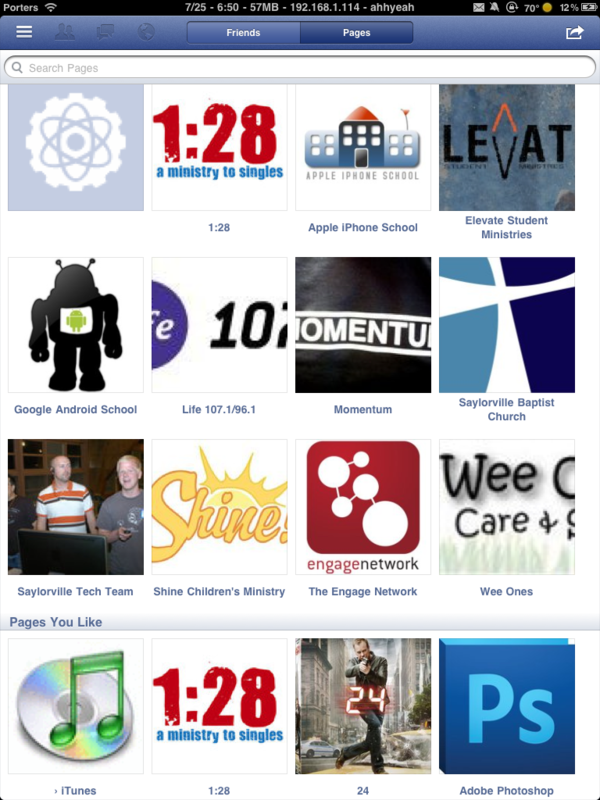 Nothing to blow your mind but better than the tiny little iPhone app. UPDATE: There is a hack in Cydia called FaceForward that re-enables the hack and doesn’t require the step by step hacks below! 1. You must be jailbroken. 2. 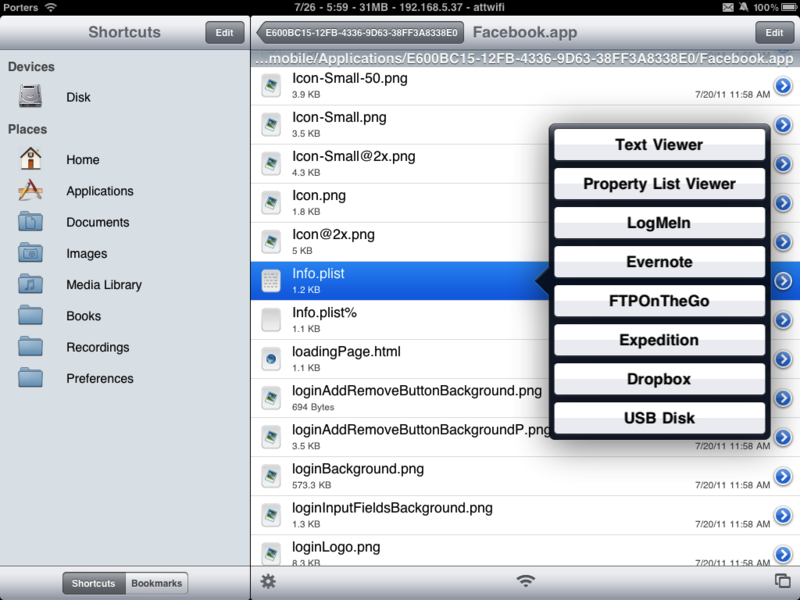 Install iFile on your iPad so you can edit the Facebook application files. It’s free in Cydia. 3. 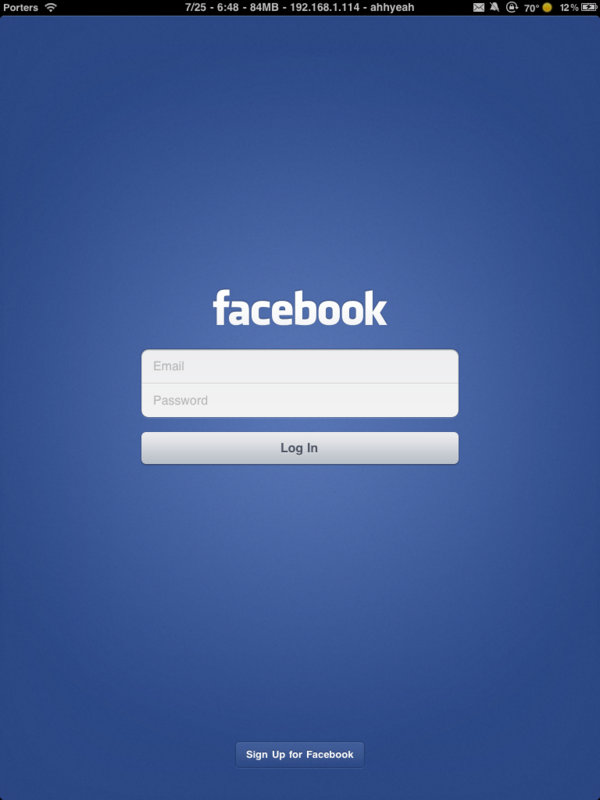 Install the iPhone Facebook app on your iPad. It’s free in the App Store. 5. 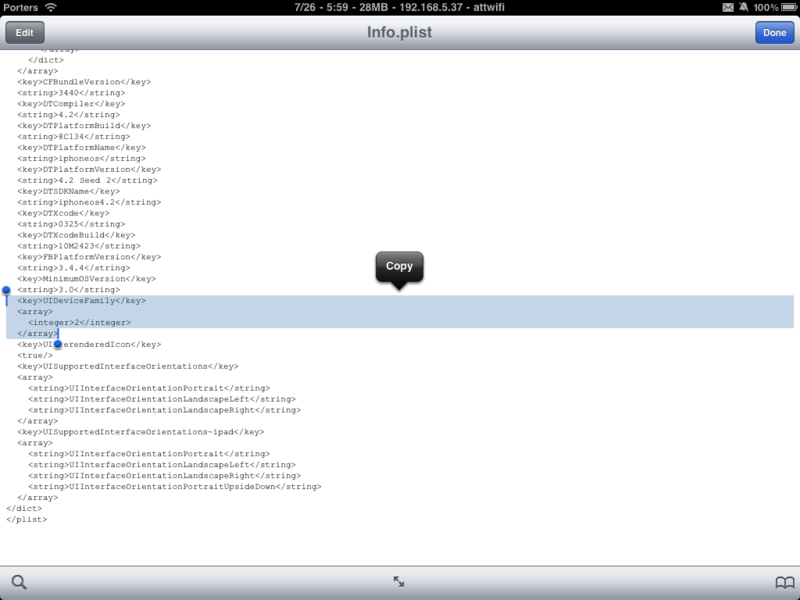 Tap on Info.plist and either use Text Viewer or Property List Viewer and change UIDeviceFamily to 2 instead of 1.